So much fun every time I'm over at Vanessa. It's always super stylish and one of the few places that has ever flowing positive energy. Sometimes I catch myself growing up a little. For example today I brought desert. Because the blonde me doesn't click that it is a nice and polite gesture to bring a gift to the lady of the house. Usually, that sort of thing is taken care of by my family. Be hold! 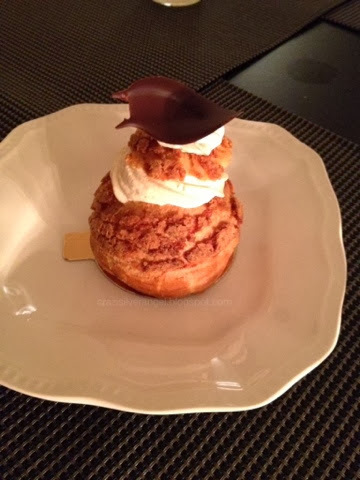 Thierry's bailey cream puff!